Everyone is familiar with the phenomena of "Rattling Pipes" when turning on and off water systems within the house. Pressure surges in piping systems are very common and many times can be destructive too. The typical cause of this rattling is that of "Water Hammer" and is caused by valve operation, entrapped air in the line and some pump operations. The effect of any one of these above events can be effectively multiplied many times by the geometry of a piping system. If the pressure wave is allowed to reflect (bounce) back and forth within the system. "Valve in head" sprinklers used by turf irrigation systems are very good examples of a component which can cause water hammer. The combination of the high flow velocity within the valve and the instantaneous on-off, set the stage for large surges within a system. Add to this the fact that a turf irrigation system which would use these types of valves is operated daily and in some cases more than once a day. Therefore, the frequency is increased and adds to the problem. Because the industry standards relating to pressure ratings of PVC fittings and pipe are all based on static pressures and no mention is made of surge conditions which are known to take place within installed systems. It is often found that no allowance has been made for the surge pressures by the system designer. This condition leads to a working condition that allows surges to exceed the static pressure rating of pipe and fittings, thereby causing damage. Some of the approaches to eliminating this problem have been suggested by such people as the Farmers Home Administration which puts an extra safety factor in the rating of thermoplastic pipe by recommending that the operational pressure not exceed two-thirds (2/3) of the maximum rated pressure by ASTM. The Soil Conservation Services Engineering Standard 430-DD recommends the working pressure be held to a maximum of 72% of the ASTM ratings and limits flow velocities to 5 feet per second. These measures increase the margin of safety but cannot guarantee that surges won't be generated and damage result. The ASTM pressure ratings were never meant to be a fool proof system whereby all other cautions can be ignored. It is a known fact that frequent pressure surges or fluctuations in a piping system will cause a fatigue failure. By the proper placement of gauges, recorders and early design consideration, these conditions can be held to a minimum to prevent future failures. When surges continue and a fatigue failure occurs, there are certain characteristic features that can be seen in the failure. A short split will be observed in the wall of the pipe or fitting. The area adjacent to that split will erode away be the "Slurry" of water and soil that is churned up during the normal operation of the system. Occasionally the split and the erosion will continue to lengthen into a larger pit or adjacent pockets on the wall. With extremely high surge pressures that are typical of water hammer failures, the pipe and/or fitting will shatter and the fracture pattern points towards the origin of the failure. If the pipe is colored, a V-shaped, whitened area will be visible at the ends of the original split. The maximum stress observed within a pipe wall during a surge is the largest single factor influencing the time to failure of a system. If the surge is large enough, failure will occur in one cycle (i.e., Quick Burst). With other factors held constant, it is possible to determine a stress vs. cycle failure relationship. However, these studies can only be guidelines for actual (real world) performance and design cannot exactly predict the cyclic life in real application. For instance, the range between maximum/minimum pressure is very important and as the two pressures approach each other the surge effect disappears and the pipe experiences essentially a static pressure. The most damaging situation is with wide fluctuations and pressures. Surge life is also affected by the operating temperature of PVC. PVC being a thermoplastic means it is softer when it is heated and when operating above 73 degrees Fahrenheit, both the static and surge life is reduced as well as the stiffness. This is normally not a consideration in municipal and turf water systems. However, it may become important in warm climate irrigation or surface irrigation where the water is heated due to the elevated temperature. Insufficient data is available to establish if these static pressure factors are appropriate corrections for water hammer conditions. The effect of a pressure wave form is probably the least investigated and least understood variable in the investigation of cyclic behavior. The wave form describes how rapidly the pressure rises and falls and how long it remains at the higher or lower level. Various pressure forms such as a saw-tooth (steady rise/sharp drop), spike (rapid rise immediate fall), square (rapid rise hold at the high pressure, rapid fall), and many combinations have been observed. When the pressure peaks and falls rapidly, the PVC may not fully respond to the applied load. Rising slowly allows time for material to reorient or adjust to the load level. Cycle rate also has a direct effect on using up the life of a system. If a system will tolerate a million surges for a chosen design pressure, an increase in the surges from 1 hour to 10 hours will produce a failure rate in 1/10 of the time. This proportional relationship will be maintained in all systems. Keeping in mind factors that produce surge, such as high flow rate and rapid valve closure, it is apparent that many problems can be solved in the system design stage. There is no single solution applicable to every situation. Consideration must be given to the design of the pump, the operation of the valves and regulators. This may involve choosing an alternate type of pump, control system, and/or surge tank. Valve controls should be designed for slow opening and closing and piping should be. The maximum possible surge should be estimated along with the anticipated surge frequency. PVC pipe can tolerate occasional surges well above the design rating of the pipe. However, when repetitive surges are expected, they should be controlled below the pipe design rating. As stated earlier, FHA and the Soil Conservation Services recommendation of 67% and 72% of the static pressure design are useful guidelines for ASTM design pipe. The obvious question is how many surges can a system tolerate. An exact answer is not possible, because we can make only an estimate. Tests have shown that peak pressures (saw-tooth wave form) that cause stresses in the range of 2500 psi will cause fatigue at about 140,000 surges. At a peak stress of 1500 psi, fatigue occurs at 2,220,000 surges. Some variation will exist in each application because the base pressure and pressure wave form will be different in each test condition. What does 2,000,000 surges represent? In a controlled system with 10 cycles per day, 548 years of service. However, in a less controlled system with 10 cycles per hour, the result is 23 years of service. As a rule, municipal water systems are reasonably controlled and long service life is expected. Some difficulties have been observed in uncontrolled golf course installation where surges exceed the static pressure rating of the pipe and occurred hundreds of times daily. In this situation, the service life of the golf course was reduced to a range of two to five years. Pressure surges damage all components of a piping system: pumps, valves, fittings, and pipe. If the system is to operate satisfactorily for many years, water hammer must be controlled. Control begins with good design and continues to good operation. 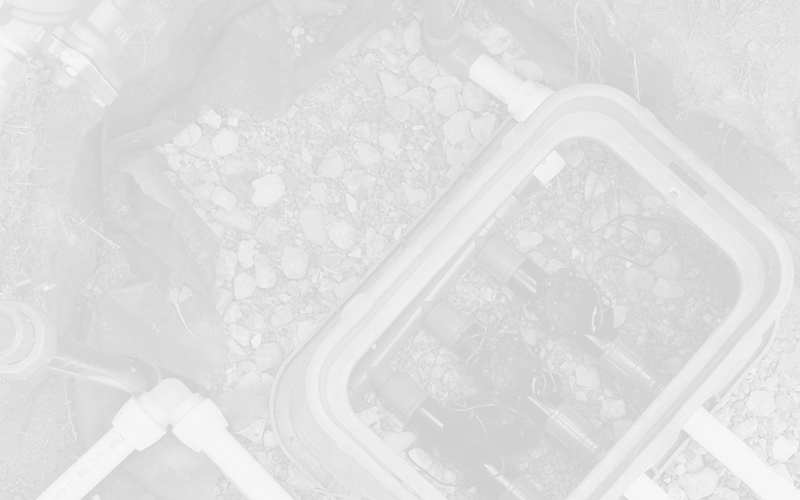 Proper equipment selection, including the use of pipe and fittings with appropriate pressure rating, is the good starting point for a successful installation. The elastic or non-rigid nature of PVC greatly reduces the pressure wave or surge pressure that travels through the piping system. PVC's ability to swell or grow slightly helps to dissipate some of the energy created as the pressure wave travels through the system. However, PVC is also visco-elastic. This means that it can't tolerate sudden changes or forces. Because of this, water hammer may be a problem in PVC systems. Water hammer is the impact force caused by the sudden adjustment in pressure due to changes in the velocity of water traveling through a pipe. Fortunately, there are some steps which can eliminate any system failure due to water hammer. The maximum surge pressure generated in a 2 inch Schedule 40 PVC system flowing at 5 feet per second is about a third as great as the surge pressure generated in a steel or copper system. Wave velocity is also very slow - about the same 3:1 ratio. This can produce water hammer in a system with quick-closing valves. Therefore, the valve closing times in a PVC system must be much longer then those in a metal system in order to prevent water hammer. Another common cause of water hammer is an air slug. An air slug is nothing more than a bubble or air pocket within the system. They usually rest at the highest point in a pipe. When this bubble travels through the piping at the velocity of water, there is no real problem. The problem occurs when the air slug gets to the sprinkler. The air escapes through a sprinkler nozzle approximately five times faster than water, so the upstream water velocity suddenly increases. When the air slug is gone, the system velocity suddenly drops to the original value. This can shock the system causing damage. For example, if the normal velocity is 3 feet per second, the system can increase to 15 feet per second during air escape, and it can be instantly reduced by 12 feet per second to the original speed. That 12 feet per second change will create an additional pressure of more than 200 psi in that 2 inch system. This 200 psi surge, added to the working pressure of 100 psi, exceeds the 280 psi rating of Schedule 40 pipe. The 200 psi surge will only last about a third of a second. However, with a surge that size, even for that brief time, broken piping and components may be the result. To reduce damage due to air slugs several things can be done. First, you must properly fill the system with water from the start. When filling for the first time you open the valve to about 1/4 open. Filling the system very slowly works the air slugs out. If air slugs are still a problem in the system you can install air bleed release valves at high places in the pipe where air slugs collect. These release valves open to release the air when the system is turned off but close when water is running through the pipes. While PVC can greatly reduce pressure waves or surge pressures due to its elastic nature, it is visco-elastic and cannot tolerate sudden changes or forces. However, water hammer does not have to be a problem. Designing the system with water hammer in mind can solve the problem. One of the major advantages of plastic pipe is its smooth inside surface, which minimizes the amount of friction loss compared to other materials. Essentially this means that in plastic systems there is a possibility of using smaller diameter pipe while obtaining the same or lower friction losses than with other materials. LASCO Fittings Inc. has taken every reasonable effort to provide reliable information in this report to give engineers, users, contractors, code officials, and other interested parties essential information on the water flow characteristics of thermoplastic pipe. The following charts show the friction-loss characteristics of various schedules class' and sizes of plastic pipe. No warranty or guarantee can be assumed for piping installations. The data shown has been compiled from various sources. It is not all-inclusive and is intended for use as a general guide. The "C" factor in the Williams and Hazen formula is 150 for plastics and less for metallic pipe. It is important to note that the PVC pipe and fitting manufactures recommend that design velocities do not exceed 5 feet per second. Excessive velocities can lead to failures from surges and water hammer. The amount of friction loss of fittings is important when designing PVC systems. The following table is provided by LASCO Fittings, Inc. to provide information regarding friction loss of fittings in equivalent feet of pipe. This chart is based on a Hazen and Williams coefficient of 150. For example, a 1/2 inch tee-branch fitting has the friction loss equal to 4 feet of pipe. Therefore, 100 feet of 1/2 inch pipe containing one Tee-Branch fitting has the same friction loss of 104 feet of straight pipe. Variations may result from installation techniques, actual fitting geometry, and inside diameter of adjacent piping system. Due to these variations, this information should only be used as a reference point. Hydraulic Shock Valve Closing Pressure surges are produced by unsteady flow resulting from either acceleration or deceleration of a liquid. Every flowing fluid accumulates kinetic energy (velocity head), the strength of which is determined by the weight of the fluid and the speed with which it is moving. If the speed of this fluid is changed, i.e., suddenly slowed or stopped, the kinetic energy is transformed into pressure energy and causes the normal system pressure to increase. This phenomenon is called hydraulic shock or, more often, "water hammer". If left uncontrolled, it can produce forces large enough to damage a piping system permanently. When a fluid is flowing with a constant velocity through a pipe and a downstream valve is closed, the following sequence of events takes place: The water adjacent to the valve is stopped; the momentum in the fluid is converted to a pressure head which compresses the fluid and expands the pipe walls. The flow of adjacent particles within the water is successively brought to rest, transforming momentum into pressure energy. When the water is compressed due to the sudden stop., the pressure wave travels upstream to the end of the pipe at wave velocity - "A". If the pipe length is "L", then after L÷A seconds the wave will be at the upstream end. The pressure wave, after reaching the upstream end (i.e. valve, etc.) of the pipe, is reversed and returns to the downstream valve at 2L÷A seconds after valve closure. During this time, the fluid pressure and the pipe stress will be greater than normal. If the fluid were ideal, there would be no resistance to flow and surges would continue to repeat indefinitely. With friction and pipe elasticity, the pressure amplitudes diminish gradually until original momentum is absorbed. The explanation of water hammer in the previous paragraphs assumes instantaneous closure. But valves require a finite time to close. If closure takes place in a time less than 2L÷A, then it is termed "critical" (TC) and the incremental pressure rise is shown in the Table 1. Table 1 shows the increase in water pressure of a system for each one foot per second flow rate and each 100 feet of PVC pipe. For other "Run" lengths and "Velocities" multiply "Peak Pressure Surge" accordingly. Peak surge pressure (P) is directly proportional to the velocity changes (V). P tabled above is per foot/sec. Velocity change. Critical valve close time (TC) is directly proportional to the pipe run length (L). TC tabled above is per 100 ft. Of run length. If actual valve close time (TA) is less than the critical time (TC), then the peak surge is as shown, but if TA is greater than TC, then the approximate pressure surge is (PA) = (0.027 x L x V)÷TA (psi). Air slugs in a system can create surge velocities far in excess of the system design flow rate. Abrupt flow changes and high flow rates can compound to create very high hydraulic pressure shocks.